*The 2015 Australian Open took place at Melbourne Park, Australia between 18 to 31 January 2016. 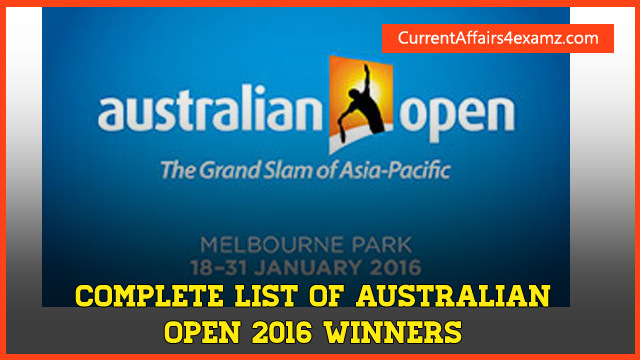 It was the 104th edition of the Australian Open, and the first Grand Slam tournament of the year. * Novak Djokovic successfully defended the men's singles title and thus won a record-equaling sixth Australian Open title. Serena Williams was the defending champion in the women's singles but failed to defend her title, losing to Angelique Kerber in the final; by winning, Kerber became the first German player of any gender to win a Grand Slam title since Steffi Graf won her last such title at the 1999 French Open.